#FilmCaribbeanUK brings you a mini Caribbean film festival featuring three headlining films from Antigua/Jamaica, St. Maarten and Barbados. 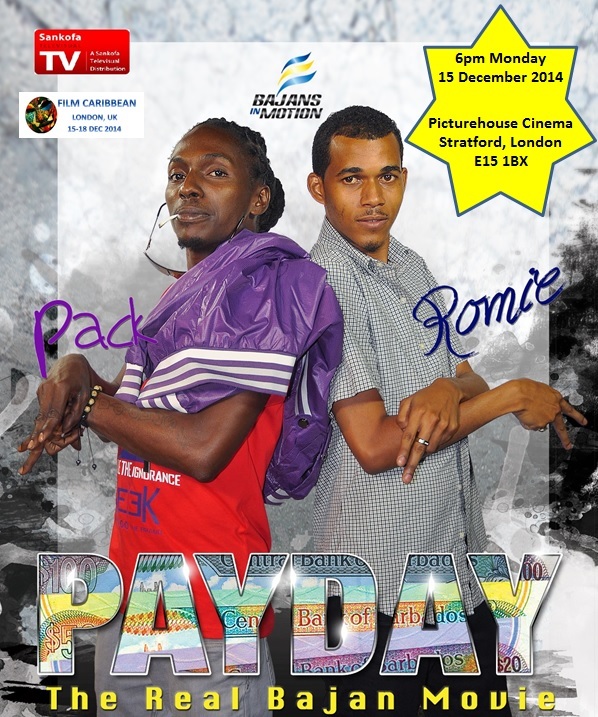 This youth comedy-drama showcases a raw slice of Caribbean community life all within one day in Barbados. Two best friends (Romie and Pack) trying to escape their boring jobs and demanding families, put their entire salaries into a down payment on a car repair garage. But setting up in business is hilariously complicated by crazy ex-girlfriends, violent drug men and eccentric villagers. UK premiere at the Picturehouse Cinema in Stratford, London E15 at 6pm on Monday 15 December. For tickets CLICK HERE or phone the box office on 08719-025740.